Mukta's love for music started young and she was able to continue to associate herself with music by taking a job as a councillor at a Music Institute. Today she prides herself at being able to encourage young minds to take up music not just as a hobby but as something they can pursue later on in life too. Her husband works as a Field Officer at a local transport company. Together they took a Loan from Shubham to build their dream house where they live with their 14 yr. old son and hope to open up their own Music Institute someday. 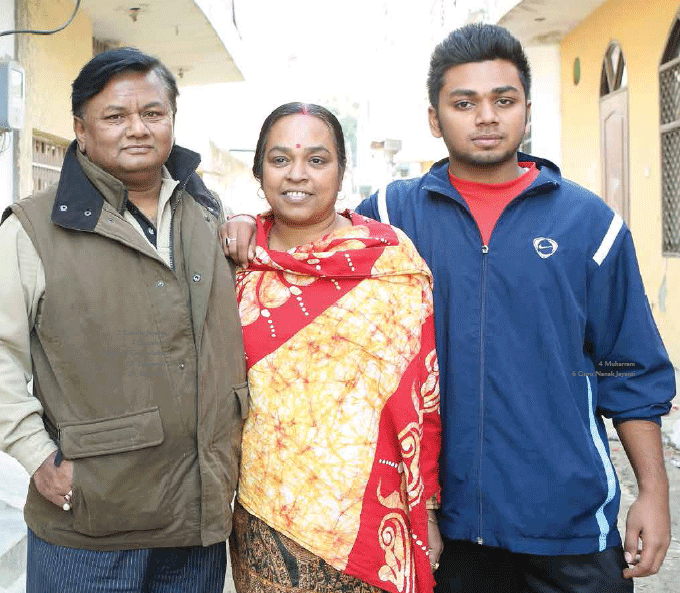 Originally belonging to Sikandrabad, Gulveer shifted base to Faridabad 10 years ago so that he could make a life for himself which a small city could not provide given his limited education. With hard work and perseverance, not only does he own a shop now but has also bought a home for himself with the help of Shubham's loan. He says that the pleasure of watching his 2 children grow in their own home is priceless. Our home loan at low interest has helped him to get his dream house. 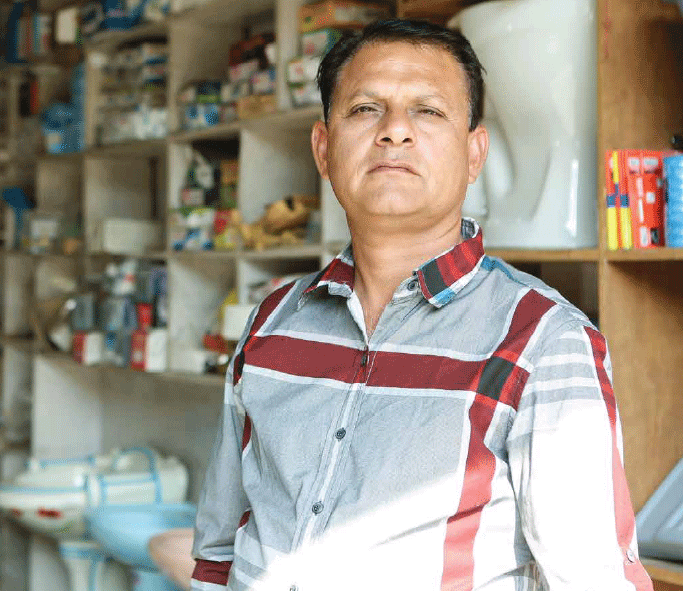 Suresh's shop is always bustling with people as everyone in the surrounding areas knows that his shop is the go-to place if they require anything related to plumbing / hardware needs. It's been a long journey for him as he started with a tiny shop 20 years ago. He always thought that he would spend the rest of his life living as a tenant in a small house before he was introduced to Shubham by his friend. Today he lives in a house with his wife and 17 year old son. Moor Saleem believes that engaging yourself in any kind of business is respectable as long as the business is honest and gives adequate profits. 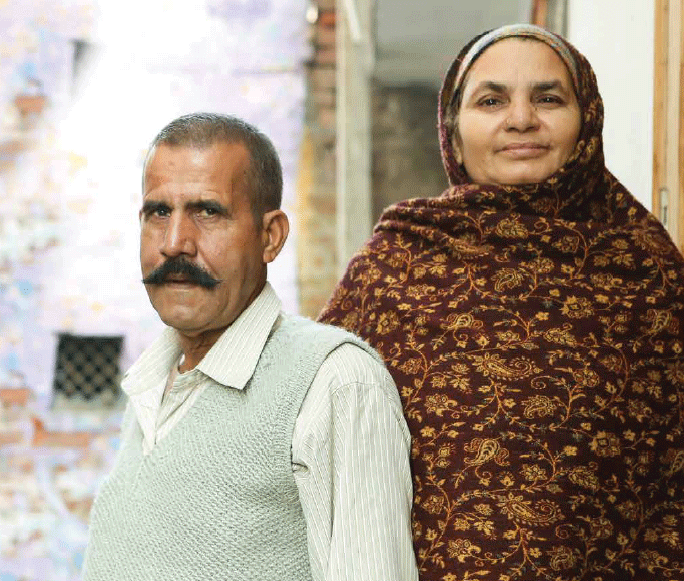 But due to cash based transactions, Saleem could never get a loan due to the lack of income proofs. When he attended a customer meeting at Shubham, he was still unsure until a Relationship Officer took him through the loan process smoothly. He now owns a home in Ankur Vihar, Ghaziabad. Being in this business for the past 8 years, it's part of Kapil's job to understand people's need and give them what they want. So while he was looking for a house to buy, he was introduced to representatives of Shubham, who were able to tailor a loan for him according to his requirements. 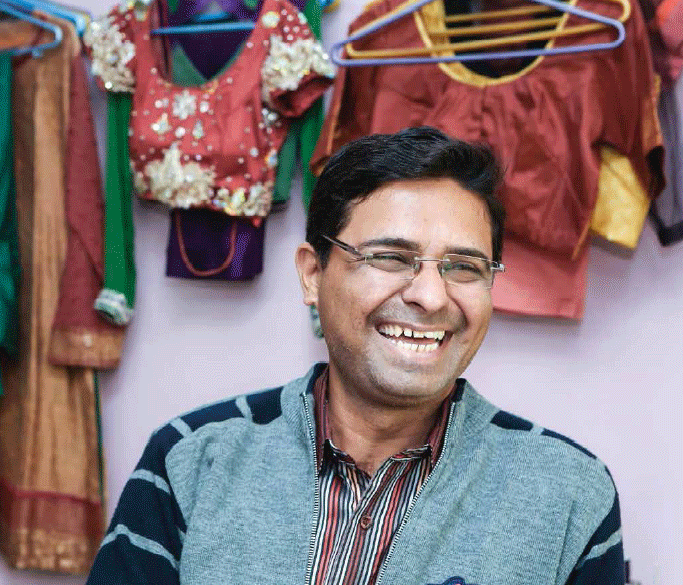 Today Kapil occasionally walks into Shubham's branch, located just 100 metres from his shop, bringing along referrals and proudly talking of his loan arrangement with us. Shubham has been extremely helpful right from the beginning. They made it so simple for even first time buyers like me. Rishi completed his MA from Sampuran Sanskrit University, Varanasi. Despite having a committed set of followers and believers for whom he performs various ceremonies and pujas, he was unable to secure a home loan due to the nature of his income. Rishi's own prayers were answered when he saw a cable TV ad of Shubham in 2012. Shubham's Credit Officers were able to assess the dakshinas he received and we gave him a loan to buy a 2bhk house for himself. 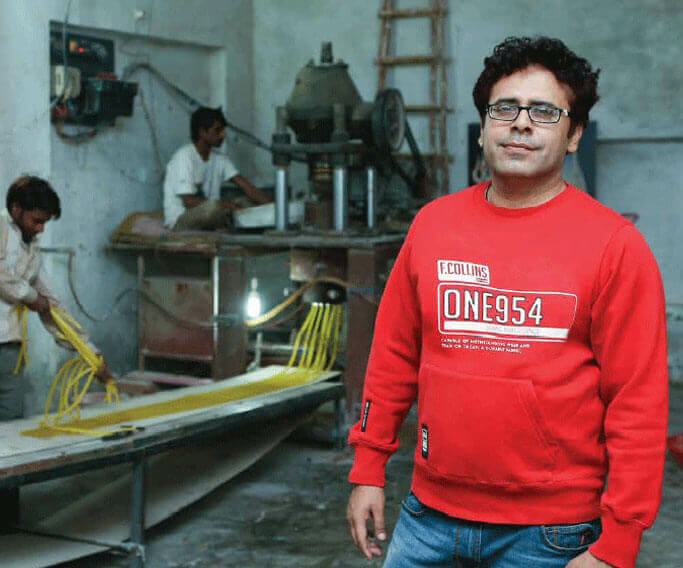 Small Business Owner Neeraj believes in looking ahead in life. Be it from the time he decided to quit his job and help is father in the business or the time when he realised that paying rent was not building any asset for his future generation. It was then that he approached Shubham with an application for a loan which was approved within 14 days and he now owns his own flat. Originally belonging to a small village in Haryana, Satvir shifted to Ghaziabad 20 years ago to be able to live a life that was not possible earlier. With perseverance and hard work he has been able to provide a comfortable life for himself and his family and is proud to say that he is amongst the first in his family to construct his own house. Having being transferred all over the country due to the demands of his job, Shyam finally decided to settle down in an upcoming colony near Sahibabad. Along with his life savings and a loan from Shubham based on his son's income and his pension, he was able to build a 2 storey house. He now spends his time playing with his Grandchildren and looking back at all he has achieved. I am extremely glad that I had gone to the market on the day Shubham had set up their stall. That has made all the difference. Ram works 14 hours a day running a general neighbourhood store selling all kinds of things ranging from milk, eggs, biscuits, atta etc. Being in this business for a number of years he was unable to convert his healthy cash flows into a long term asset. It was a normal day when a representative of Shubham showed up at his store and talked about the possibilities of securing a loan. A year later Ram has been able to construct his own house spread over 400 sq. ft. and lives there with his wife, children and grandchildren. Chiranjeev knew that in order to build a better life for his children, not only should they have a strong education but also ensure that there is safety and security. He and his wife are amongst millions of Indian couples who work hard every day to provide these 2 things. He hopes that someday he can retire and become a social worker to give to those who do not have the means to fulfil their dreams. 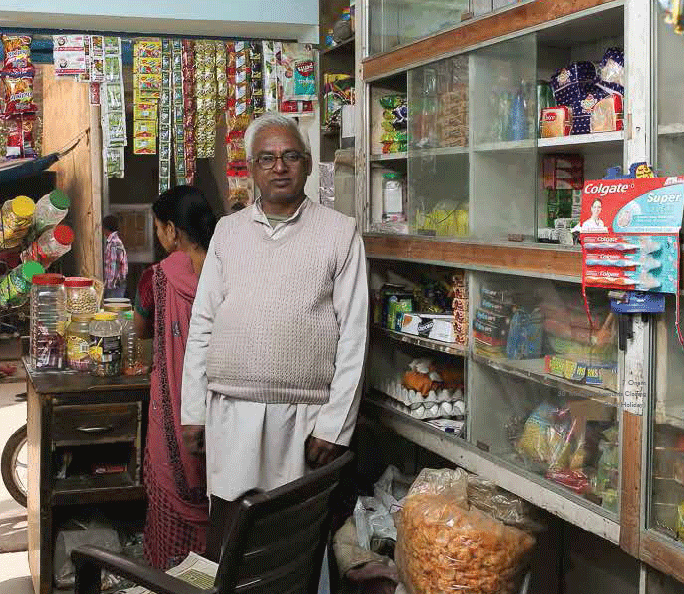 For Naresh his working hours were long as his rented flat used to be at a distance from his shop. While trying to provide for the family he was unable to give enough time to his wife and new born son. He then decided that it was time for a change and one day walked into a Shubham Branch office that is on his way to work. Today it takes him just a minute to reach his shop from home as he bought himself a 1 BHK flat just above the shop he owns and is able to spend ample time with his son.